It’s hard to believe that we’ve entered another personal tax season. In fact, April 30th is just 42 days away! To make tax season as stress free as possible, here are four steps to help you get organized. A few weeks ago, we sent an email to our clients with a personalized tax letter attached. That letter outlined items that were applicable for your return last year that may also be pertinent this year. This is a great start to ensure you don’t miss sending us anything important. If you don’t remember receiving this letter, please contact us so we can provide you with a copy. Tax slips – Based on last year’s slips, determine the slips that are applicable this year. For missing slips, contact the issuer or your investment advisor immediately. Medical expenses and donations – Prepare a summary of all medical expenses and donations and be sure to provide us receipts for backup. If you have medical expenses from pharmacies, the pharmacist can provide you with a summarized print-out. This removes the worry of misplaced prescription receipts. Self-employed or rental income information – When providing current year figures, please highlight them clearly so they stand out. This saves valuable time as we sort through it all. Once you have all your documents organized, place them in an envelope or folder. Include a note for any slips that are no longer applicable or any new slips for this year. We suggest you create a separate envelope/folder for each family member as this avoids confusion. If you have a change of address, marital status, employment, or new family members, be sure to include reference to this in your package. We also need to know if you sold your principal residence during the year. This must be reported to the CRA even if the gain on your sale is tax exempt. Failure to report the sale means big problems for you, so keep us posted! Please include information for children now in post-secondary school or who are earning part-time income so we can prepare their tax returns. If they’re paying rent, property taxes or have minimal income, they may be eligible for certain government benefits. That spells cash in your child’s pocket. For your convenience, our office hours are extended until April 30, so feel free to drop off your documents in person. You can also courier them to us or send them online through ShareFile. Whatever your preference, it is imperative that we receive your documents as soon as possible. 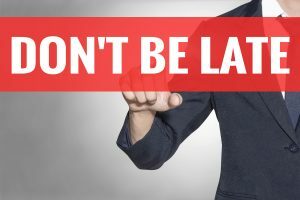 This puts us in the best position to efile your return on time and avoid late filing penalties. 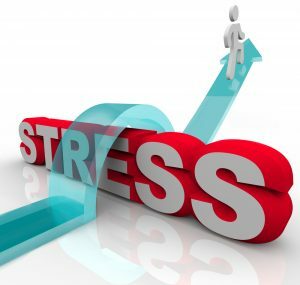 Following these steps will reduces stress, saves us time and you money! If you have any questions as you get organized, our team is just a phone call or email away. Let’s work together to make this the best personal tax season yet! In November 2016, we blogged about Tax Free Savings Accounts. Since inception, CRA has been auditing TFSA accounts and this has resulted in penalties to taxpayers who have unknowingly over-contributed. How can you be sure you have room for your TFSA contributions? Here are some tips. Let’s say you’ve withdrawn funds from your TFSA. This has left room to re-contribute later, right? Not necessarily. 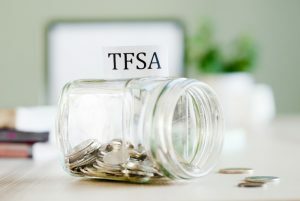 If you withdraw funds from your TFSA, you must remember that this does not create corresponding contribution room until the next calendar year. If you contribute sooner – you could be penalized. If you wish to transfer funds from one TFSA to another, the transaction should be processed as a “direct transfer” by your financial institution. Otherwise, it could be viewed as a “funds withdrawn” and “funds contributed” scenario. When the latter happens, contribution room for the withdrawal will not be reinstated until the next calendar year. So, when funds are not transferred correctly, and you contribute too soon – penalties may also apply. CRA has made it easy to ensure that we don’t over-contribute. Before you contribute, log into CRA’s My Account for Individuals > Click RRSP and TFSA tab > Contribution Room > Next. This takes you to your TFSA page where you can find out your contribution room as of the current taxation year. Following these simple tips can help you save money without worrying about unexpected penalties. Happy saving! Costco, Superstore and Wal-Mart have got us used to the efficiency and convenience of one stop shopping. However, should this same concept be applied to your financial needs? Not necessarily. At Scarrow Yurman & Co. we do our best to attend to the tax needs of our clients. We go beyond simply fulfilling their legal obligations and are proud to provide advice for buying and selling businesses, corporate restructuring, estate and succession planning and even retirement planning. 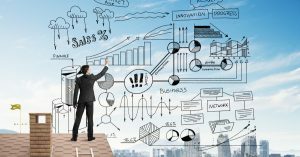 However, depending on the complexity of the situation or the scope of business, we feel that a “one-size-fits-all” approach is not always in the best interest of our clients. That’s why there are situations where we encourage our clients to expand their financial team to include a Financial Advisor. Having a broader support group with complementary financial services can help move a client in the right direction and give them peace of mind. Recently, we have become aware that some of our clients would like to know more about financial planning strategies including portfolio management, stocks and life insurance. We also realize that there is a sea of financial advisors out there and we want to ensure that our clients find the right fit for their unique personal and business needs. Therefore, if you are not sure you require a Financial Advisor, or would like us to recommend one, please contact us today. Let’s get your questions answered together. 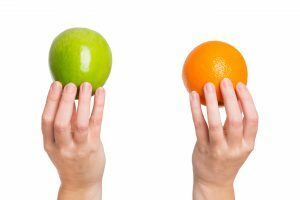 Although these two terms are used interchangeably, when you’re discussing tax credits and tax deductions you’re not comparing apples to apples. They are very different and knowing the differences is helpful. 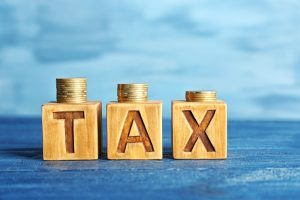 Tax we owe in any given year is not based solely on our income but is also affected by the various tax dedications and tax credits we are entitled to for that year. Tax deductions reduce taxes differently depending on the marginal tax bracket you’re in. For example, if you are in the bottom marginal tax bracket and your marginal tax rate is 15%, then a $100 tax deduction will save you $15. However, let’s say you were in a higher marginal tax bracket and your marginal tax rate is 20%, then that same $100 tax deduction will save you $20 instead. 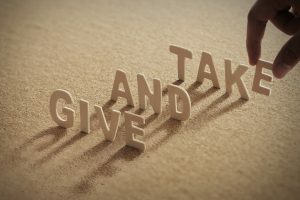 Although tax deductions will generally benefit everyone, tax deductions are more effective in saving tax for those that make a higher income and are subject to higher tax rates. Once your marginal tax rate is applied to your taxable income and the taxes owing is calculated, tax credits are applied in the final stage of this calculation to lower taxes owing even further. Tax credits differ from tax deductions because they reduce taxes independent of the marginal tax bracket you belong in. Tax credits are calculated using the bottom marginal tax rate. In other words, whether you have a taxable income of $30,000 or $200,000, a $100 tax credit will save you the same amount in taxes. Tax credits might bring your final tax owing to $Nil but are generally not going to create a tax refund. Bottom line is, tax deductions will save more taxes than tax credits if you are in the higher marginal tax brackets. So remember, you aren’t deducting that medical expense, you’re claiming a non-refundable tax credit. We hope this brief explanation of the differences between tax deductions and tax credits will help you better understand what’s going on inside your tax return. Please call us if you have any other questions or comments. With this sobering advice in mind, we have prepared some tips to help you get organized and avoid unnecessary stress this personal tax season. TIP #1 – Mark your calendar. Know your deadline. For individuals, the deadline is April 30, 2018. Those who are sole proprietors have until June 15, 2018 to file. However, regardless of the deadline, taxes owed should be paid to CRA by April 30, 2018. TIP #2 – Read your personalized tax letter. If your child is attending overnight camp, remember to tell us the length of the stay. Also, please remember that children’s arts and fitness credits were discontinued after the 2016 taxation year. It is vital that you disclose all sources of income and ensure that you are providing us information for all required disclosures. The most common disclosure form is a T1135. If you had any foreign assets more than Cdn$100,000 dollars in value, you are required to disclose this. Ask your investment advisor or financial institution for a T1135 report and avoid unnecessary fines. Remember to send us any donation receipts that you forgot to claim in the past 5 years, you may still be able to claim it this year. TIP #3 – Follow up on missing tax slips or receipts. T4 and T5 slips should have been received by the second week of March. You should expect to receive T3 slips starting the third week of March. If you haven’t yet received them, contact your employer or financial institution to ensure you receive your slips. If you made donations in 2017 and have not received your donation slips, please contact the registered charity to get additional copies. To ensure you don’t miss any medical receipts, individual pharmacies can provide you with a summary of all the prescriptions you paid for – free of charge. TIP #4 – Keep your receipts in a secure place. It is vital that everyone keep their receipts for seven years in the event of an audit by CRA. If you’re a sole proprietor, for the purposes of your tax return, we ask that you please keep your receipts in a secure place and only provide us with a summary so we can prepare your return more efficiently which will bring more savings to you. TIP #5 – Students in a post-secondary institution should file their taxes. Post-Secondary institutions issue T2202A slips that can be used against current or future taxes. Best of all, these credits are transferrable to parents at a maximum of $5,000! Students may also be eligible for additional credits such as the ON-BEN and GST/HST Credits which could mean more money in their pocket throughout the year. TIP #6 – Expecting a tax refund? Get your money faster with direct deposit. The CRA has been offering direct deposit for a few years now. Direct deposit ensures that your refund is directly deposited into your personal bank account. All CRA needs is your Social Insurance Number, the name of your financial institution, branch/transit number and your account number. We would be happy to set this up for you. TIP #7 – Expecting to owe tax? Develop a payment plan that works for you. 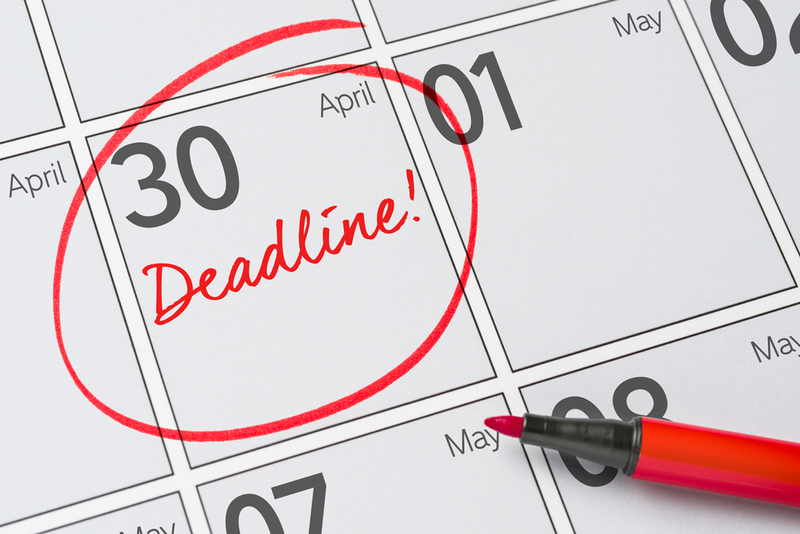 If you expect to be paying taxes on April 30, ensure you have set aside some money to pay off your tax liability. We also encourage all our clients to contact us, so we can help you develop a tax plan that works for you. Best wishes from Scarrow Yurman & Co. as we prepare to make this personal tax season the best one yet! CRA giveth and CRA taketh away. Actually, more “taketh” than anything! As you run around getting all your tax slips in order, we wanted you to be aware that the CRA has nixed some tax credits and modified some current ones for 2017. The Children’s Fitness Tax Credit and the Children’s Arts Tax Credit are now gone. The Public Transit Tax Credit is eliminated as of July 1, 2017. For 2017 only, qualifying fees paid from January 1, 2017 to June 30, 2017 are eligible for this credit. For tuition fees, the Education Tax Credit and Textbook Tax Credit amounts (a part of the tuition credit) are eliminated this year. The Infirm Dependent Tax Credit and Caregiver Tax Credit have been replaced by the Canada Caregiver Credit. If you have a parent over the age of 65 receiving the disability tax credit, you may be eligible to transfer this $6,883 credit to your personal tax return. Please give us a call if you have any questions. Happy personal tax season to all! So, you did your homework and started a RESP for your child. Bravo! However, now junior is grown up and ready to go off to University – YIKES! Where did the time go? Certainly, time can seem as fleeting as our money. Below are some tips to ensure the RESP you so diligently cared for will yield the best results. When can you start withdrawing from your child’s RESP? Once a child is enrolled in a qualifying post secondary program, the RESP subscriber (usually a parent) can withdraw money on behalf of the child. For full-time programs, withdrawals are limited to $5,000 for the first 13 weeks of enrollment. There are no limits on the amounts you can withdraw thereafter. For part-time programs, withdrawals are limited to $2,500 for every 13-week period they are enrolled. What are the tax implications of RESP withdrawals? The RESP balance is made up of three different pools. Contributions you make personally – Withdrawing from the contributions pool has no tax implications. Government grants and investment income – Withdrawing from either of these pools can result is taxable income in the year they are withdrawn. We suggest ensuring your total annual withdrawals are made from these pools first until it results in the child having a high annual income. If more needs to be withdrawn in that year, consider drawing from the contributions pool. The flexibility around drawing from each of these pools varies between plans – so check with your plan administrator. Plan to ensure the RESP account is fully withdrawn before the child graduates. There is a grace period of six months after graduation for the RESP to be fully withdrawn or transferred. Otherwise, there are penalties. Transfer the taxable portions to your RRSP if you or your spouse have RRSP contribution room. If you are in a RESP family plan, you can transfer the taxable portions to any siblings. If you are eligible, you can also transfer it to a Registered Disability Savings Plan (RDSP). For this option, the beneficiary for the RESP and RDSP must be the same. 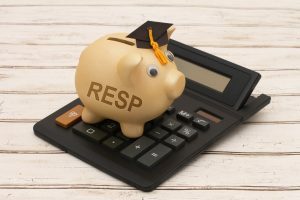 If the RESP is not fully withdrawn before the six-month deadline, any remaining government grant will have to be repaid to the government and any investment income becomes immediately taxable at your child’s marginal rate plus 20%. The contribution portion can still be withdrawn tax free even if the child has graduated. We suggest speaking with your financial institution about how you would like these funds handled ahead of time. Feel free to contact us if you have any other questions. How do you know if you are eligible for the disability tax credit (DTC)? 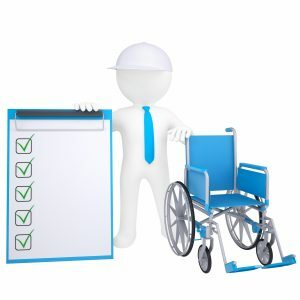 CRA’s website has a tool available where you can review some questions in order to figure out whether you are eligible to apply for the Disability Tax Credit Certificate. If you want to go through the questionnaire yourself, click on this link. We have also prepared a Disability Tax Credit Eligibility Decision Tree to help you determine whether you are eligible for the disability tax credit or not. Check it out! Per return, the penalty is 5% of your balance owing, plus 1% of your balance owing for each full month that the return is late, to a maximum of 12 months. In addition, if these penalties are not paid, CRA will charge compound daily interest on the penalty amount.